Happy Friday! Before we kick off the Meet & Greet, I wanted to put a quick plug for Thee Networking Blog Hop | September Edition... there's still time to link up and make some new bloggy friends! We'd love to have you join us. What is your blog about and why? Partyful.co gives you comprehensive party plans that are perfected and meant to be taken right from the blog and put into immediate party-action. You will find recipes, table setting ideas, centerpiece tutorials and festive theme parties with printable step-by-step timelines, which will help you create sensational soirées. 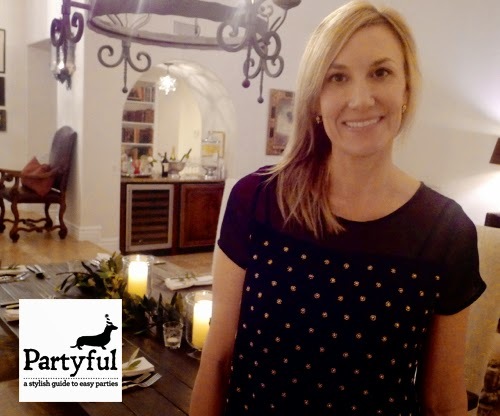 I created Partyful because I love entertaining in my home. Gatherings allow us to slow down, celebrate and enjoy the simple things in life with friends and family. I hope that by doing all the nitty-gritty legwork, showing how it is possible to create a stylish party from top to bottom, in a limited amount of time and with a budget, Partyful will inspire your inner hostess! Where do you find inspiration for new posts? I love perusing magazines and books instead of clicking through pages on the internet. As much as I adore and am addicted to Pinterest, it is difficult for me to easily find inspiration there because my brain goes on pin-overload! I’m sure that is due to the fact that I am from the generation that used typewriters and pay phones. I have notebooks full of pages I tear from magazines about entertaining, cooking and home design. I refer to my notebooks whenever I need a jolt of inspiration. I’m always on the lookout for small, personal details that make all the difference when entertaining. For instance, a table setting created by using simple white cotton napkins tied with twine and a sprig from your garden is so much more personal and interesting than a matching set of placemats and napkins. Could you provide us with links to a couple of your most popular original posts? Currently my most popular posts are Colorful Mexican Fiesta Table Setting and Elegant Halloween Party Ideas. Tell us three blogs you visit and read enthusiastically. I use the Bloglovin’ App on my iPhone so I can easily keep up with many of my favorite blogs. 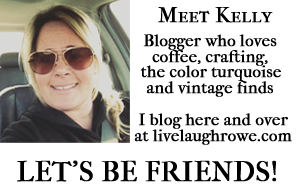 Lately I have been reading Bloom Designs for party inspiration, Jenny on the Spot for a good laugh about life and motherhood and The Intentional Blogger for helpful blogging advice. What are some of your favorite blog tools that you use? My must-have blog tools for my Wordpress site are SEO Wordpress by Yoast, Google Webmaster Tools and Broken Link Checker. A couple of my favorite nifty plugins that help increase my blog’s page views are Link Within and Comment Redirect.